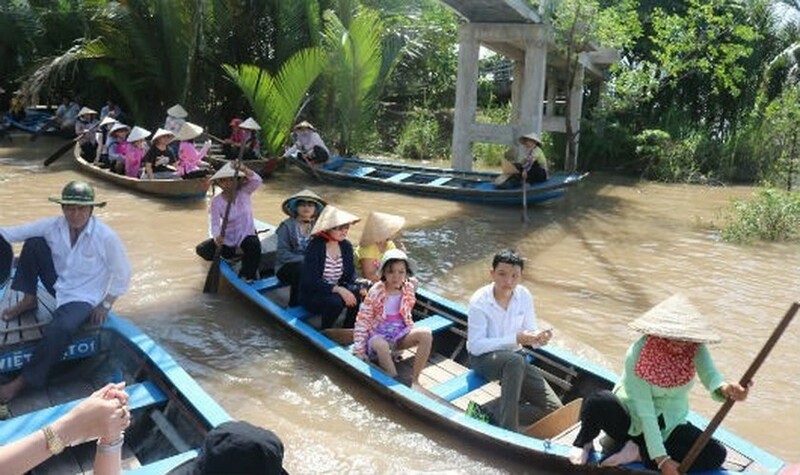 Whether it is for power generation or irrigation, all upstream developments on the Mekong River put Việt Nam at risk as the last downstream country, experts said yesterday. Hence all countries in the Mekong River basin should rethink their approaches and adopt measures to minimise impacts on communities and the ecosystem, said Trịnh Lê Nguyên, director of People and Nature Reconciliation (PanNature), a Vietnamese non-governmental organisation. He was speaking at a workshop titled “Opportunities for More Efficient Water Use in the Mekong Basin and Implications for Việt Nam” held in Hà Nội yesterday. A number of hydropower dams are being built on mainstream Mekong River, and a number of irrigation projects are being implemented in Cambodia and Thailand. All these projects are proceeding despite grave concerns expressed by other riparian nations. "However, it is not too late for the countries to revise their policies and develop a regional blueprint with the aim of mitigating the impacts on humans and the ecological system while ensuring the development needs of all countries in the region," Nguyên said. Participants at the workshop agreed that by pursuing exclusive national interests in the use of the river waters, all nations in the Mekong Basin would miss the opportunity to synergise planning in order to optimise benefits of water use on a basin-wide scale to ensure energy security, water security, food security and ecological security for the common good. According to Nguyễn Nhân Quảng, a river basin management specialist, Việt Nam has developed a system that irrigates around 1.9 million hectares, approximately 48 per cent of the total irrigated land on the Mekong’s lower reaches. Under current development plans stretching to 2030, 339 irrigation works are planned for the Sê San and Srepok (tributaries of the Mekong) river basins, which cover 125,165 hectares. However, the expansion of irrigated rice areas in the Mekong Delta has been restricted by saltwater intrusion and alum contaminated soil. Jake Brunner with the International Union for Conservation of Nature (IUCN) said that to use water resources efficiently for mutual benefit, multinational collaboration between partners in the Mekong River basin was vital. He emphasised the need for critical reviews of hydropower development. Quảng said Việt Nam should collect and update information about water diversion projects in the basin to make them more effective. Basing on the information collected, appropriate policies would be devised urgently to protect the interests of Mekong Delta residents, he said. He called on the Mekong River Commission to ask member nations to abide by regulations under the Mekong Agreement on notifying neighbouring countries about water diversion plans. The MRC and national Mekong Committees of each member country should create favourable conditions for local residents and civil society organisations to access all information, he added. Quảng also suggested that the Vietnamese government restructure its crops, shifting to plants that do not consume much water, and avoid a singular focus on rice cultivation. It is also necessary to operate and regulate reservoirs in Central Highlands properly to help ensure stable water flow to the Mekong Delta, he said. Quảng also said existing Mekong co-operative institutions, including the Lower Mekong Initiative, should be strengthened to increase regional co-operation.